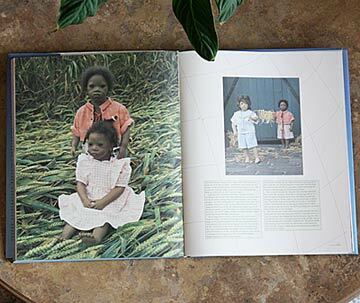 Bill's Journey Around The World is a very special book - an in-depth look at the dolls by Annette Himstedt! Four years in the making, Annette wrote the book herself. 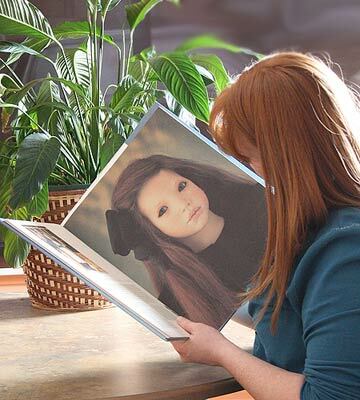 All the questions you have ever had about the history of Annette and her dolls will be answered in her first book. 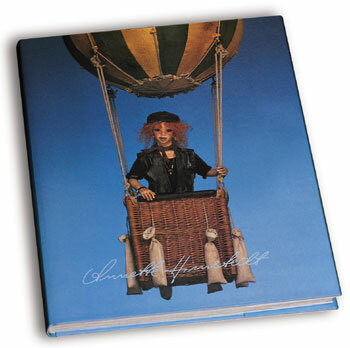 She leads us on a wonderful journey and takes us into her studio and factory through this full-color, 176 page book. Complete with a cover, this hardbound book is written in both German and English! The photos are stunning and the page layout is inspired and inviting. A great book to use for reference, you will turn to this wonderful book again and again. 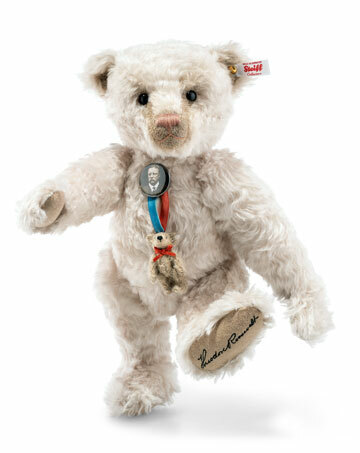 A must for any Himstedt collector. Book measures 11.5 inches wide by 14 inches tall. The Toy Shoppe is honored to present Annette Himstedt's Artist's Proofs and dolls from her Personal Collection. Upon sharing the news of her manufactory's closure, Annette collaborated closely with The Toy Shoppe to ensure the appropriate ending of this chapter in her career. It is an honor to be chosen by Annette to exclusively represent her own private collection of past dolls including her Artist's Proofs. 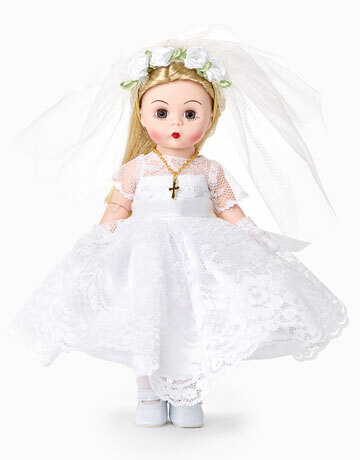 This is the most important and exclusive collection of dolls we've offered in our 36 years. Please call toll free 1 800 447-7995 if you are interested. Local (804) 379-7995 or click here to contact us. Doll making has changed radically in the past 200 years with the introduction of modern materials such as porcelain, vinyl, composition and resin. Doll design has also changed over this time but with only a handful of very influential movements such as the French Fashion Dolls in the 1800's typified by Bru and Jumeau. Another was the Munich Art Dolls of the early 1900's. Kathe Kruse dolls typified this movement which continues today: their wonderful dolls are a model of understated charm...classic simplicity with straight arms and a straightforward gaze. 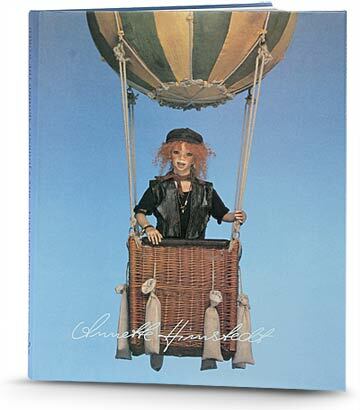 With her Barefoot Children in 1986, Annette Himstedt established a bold new direction for doll making. Gone was any mannequin-like structure: her dolls were like children at play with bent arms and fingers sculpted in relaxed, natural positions. Annette captured movement in her sculpts with her innovative natural posing. The large scale of her dolls was unique and very engaging. And their shoes, usually an integral part of a doll, were completely gone! 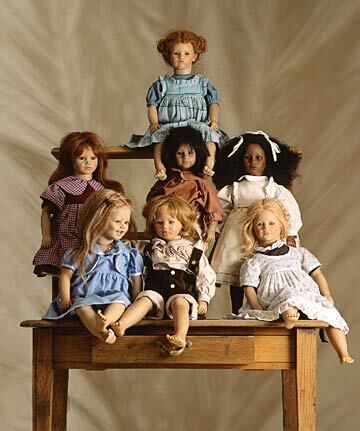 Several artists such as Hildegard Gunzel and Rotraut Schrott were also breaking from traditional doll making; yet with the phenomenal and immediate commercial success of the Barefoot Children at their debut, it was Annette who defined this movement and inspired many artists to follow. This dramatic change sparked a renewed interest in dolls and Annette has presented fresh and exciting creations for over two decades! When history reflects on this time, it will surely credit Annette for inspiring artists to new and remarkable levels of creativity in the Realistic Doll Movement of the twentieth century.